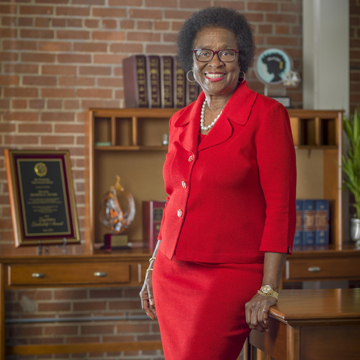 Awarded to those who make a difference in the profession and in the lives of children, the Dr. Mary McLeod Bethune Lifetime Achievement Award will be presented to Senator Arthenia Joyner, an Of Counsel Attorney with Vanguard Attorneys. This achievement recognizes her ability to make a difference through her various positions and her leadership roles at all levels. This is a prestigious honor for Senator Joyner, and our entire team at Vanguard Attorneys is proud to have her as part of our team.